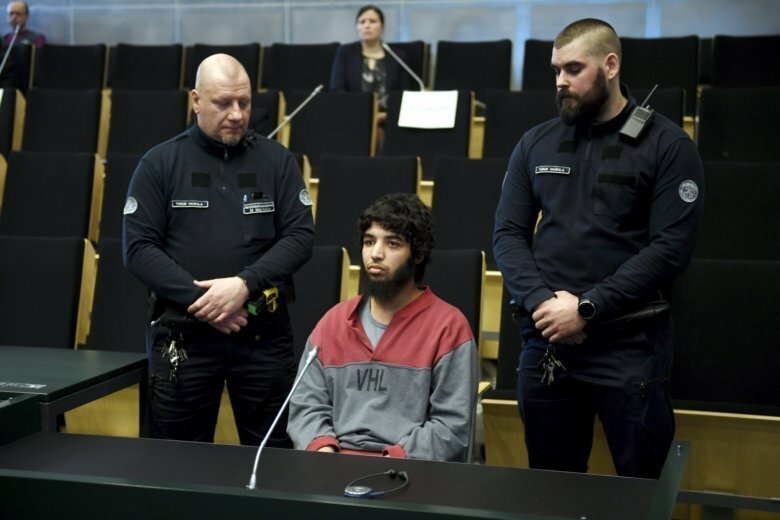 A Finnish court sentenced Abderrahman Bouanane, a failed Moroccan asylum seeker, to life in prison on Friday for stabbing two women to death and wounding eight other people last year in the Nordic country’s first militant Islamist attack. Bouanane, who was 22 at the time, went on his knife rampage in the market square in the city of Turku last August. Police stopped the attacks by shooting Bouanane in the leg. “Bounane wanted to connect his crimes to the terrorist acts by the Islamic State… The crimes were committed in similar fashion to other attacks made in Europe in recent years,” the District Court of Varsinais-Suomi said in its ruling. The militant group has not claimed responsibility for the Turku attack. Bouanane arrived to Finland in 2016 on a fake identity. He began to be radicalised in 2017 after being denied asylum. On the day of the attacks he visited a mosque and recorded a video in which he spoke of the US-led air strikes against Islamic State in Syria and fighting for the group. Bouanane told the court he was “in a war against women” during the attacks. Two women were killed and six others were injured and then two men were hurt when they tried to help the women. The court ruled that Bouanane had been fully aware of his actions. Bouanane himself has said he could not control himself. His lawyer Kaarle Gummerus told Reuters that Bouanane did not want to comment on the verdict now and that they would discuss next week whether to appeal against it.